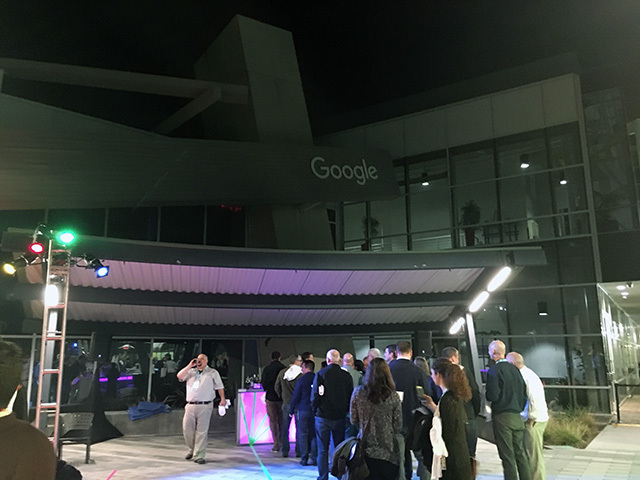 Last week, Wednesday night during SMX West, Google brought back the Google Dance. It has been several years since Google hosted the event and it finally returned! Bruce Clay interviewed Gary Illyes and Nathan Johns, the two people at Google who really made this even happen, prior to the event. So it is worth a watch if you want to see what they put into it. But I wanted to share my biggest takeaways from the event. (1) This event was clearly about webmasters, not necessarily about the advertisers. The earlier events seemed more focused on advertisers, those who spent money with Google, versus the webmasters who tried to profit off of Google organically. The truth is, it shows that Google cares about the webmasters. Google's search engine only works because of the content webmasters produce. It is a team effort and the dance showed Google cares about webmasters. (2) If you looked around at the event, the Googlers on hand were mostly from the organic side. 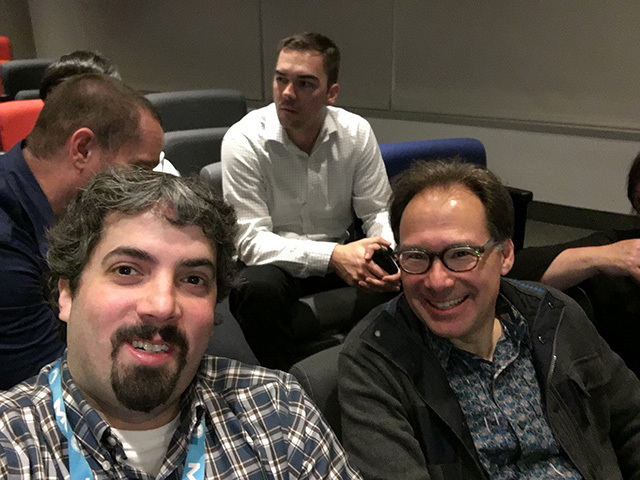 We had folks from core search (top people like Paul Haahr), we had the lead of Google Search Console, we had tons from search quality, structured data, knowledge graph, app indexing, hacked sites, security, indexing AMP and of course web spam. I didn't really meet anyone from AdWords there, which was interesting. Even the PR folks roaming around were on the organic side, not paid side. 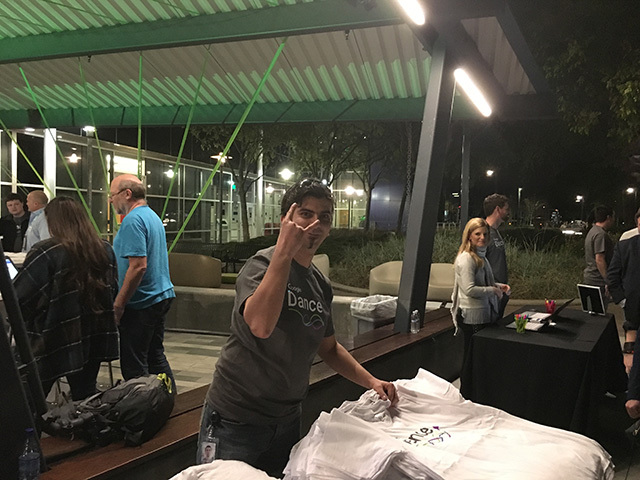 (3) What immediately hit me was that when I walked into the Dance, the traditional giving out of the Google Dance T-Shirts were given by Google's Gary Illyes, Nathan Johns and other Googlers. Yes, they personally handed out the t-shirts. Gary has come under a ton of scrutiny by the webmaster community when trying to fill Matt Cutts role by answering those hard questions about Penguins and Pandas. For him to be one of the first people greeting webmasters, that is an awesome thing. (4) Webmasters and SEOs work on Google every day so for them to get a chance to visit where it all happens it a dream come true. Google hosting this event and making that possible for hundreds of webmasters is a huge deal. The Google Dance is a dream come true for many webmasters and SEOs. She hurt her arm at the Google Dance but was thrilled to have a chance to meet some Googlers before she went to the doctor. (5) Dave Besbris, a head honcho at Google greeted everyone, which rocked! Some were hoping for Larry or Sergey but even at the old Google Dance events, those were rare sightings. (7) Matt Cutts showing up was also a fun and great thing. More on that over here. (8) Well, the not so secret Google private meeting happened there. Google said it was off limits to mention it on Twitter etc, but one person shared it on Twitter. I won't say exactly what went on there, but it was basically a lot of important Googlers listening to webmaster feedback and taking notes. A huge huge thing for webmaster Google relations. You can also check out Jennifer's recap. All in all, I think this move by Google to bring back the Dance showed many skeptics how Google really feels about webmasters - that they do care.